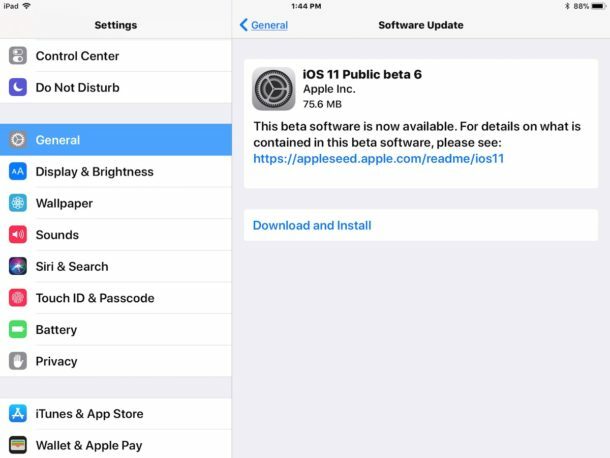 Apple released its Beta 7th preview of iOS 11 and macOS High Sierra a few weeks back and today Apple released its iOS 11 Beta 6 and the macOS High Sierra Beta 6 which is available for download right now. The seventh version will be Available for iOS 11, macOS High Sierra 10.13, tvOS 11, and watchOS 4. The new version of iOS 11 Beta 6 is expected to pack some new features from the previous Beta 6 version. Apple is mostly working towards improving their system optimization, new features and fix bugs. With this attempt, they released the Beta 7 preview for iOS 11, macOS High Sierra 10.13, tvOS 11, and watchOS 4,iPhone and iPad users who are eligible to receive iOS 11 beta 6 can find the latest update available from the Settings app > General > “Software Update”. The update is 75Mb in size so it can be downloaded easily via Wifi or your data connection. Alternatively, you can download Developer Beta 7 for your macOS going to Mac App Store Updates Tab. Users of tvOS 11 and watchOS 4 can download beta 7 through their respect OTA mechanisms within the Apple TV Settings app and the paired iPhone via the Apple Watch Settings app. Note: To get the Update for the Developer beta tester 7 users needs to enroll themselves from the Apple’s website. There can be a delay in getting the update on which ever location you are, the developer beta builds of Apple system software have been arriving a day (or two) prior to the public beta release cycle. Also, note that as the developer previews are not stable so there can be few bugs and can be laggy at times. It is recommended to take a clean backup of your device before installing the update so that you can restore it when ever you feel like. If you are very much eager to install the update and you can wait for the final update then you can go for the Beta 7 OTA update else others can wait for the Final preview. Apple has planned to release the final versions of iOS 11, macOS High Sierra 10.13, tvOS 11, and watchOS 4 to the general public this coming month.